The all new ROH Hostile 4x4 flow-forged wheel comes in matt black finish with a bronze tinted machine lip and black anodised aluminium bolts (not chrome plastic). Flow-forging is the most advanced technology in use today. Hostile will fit a large range of the most popular 4×4 and SUV and is an ideal choice when fitting a GVM+ suspension upgrade. 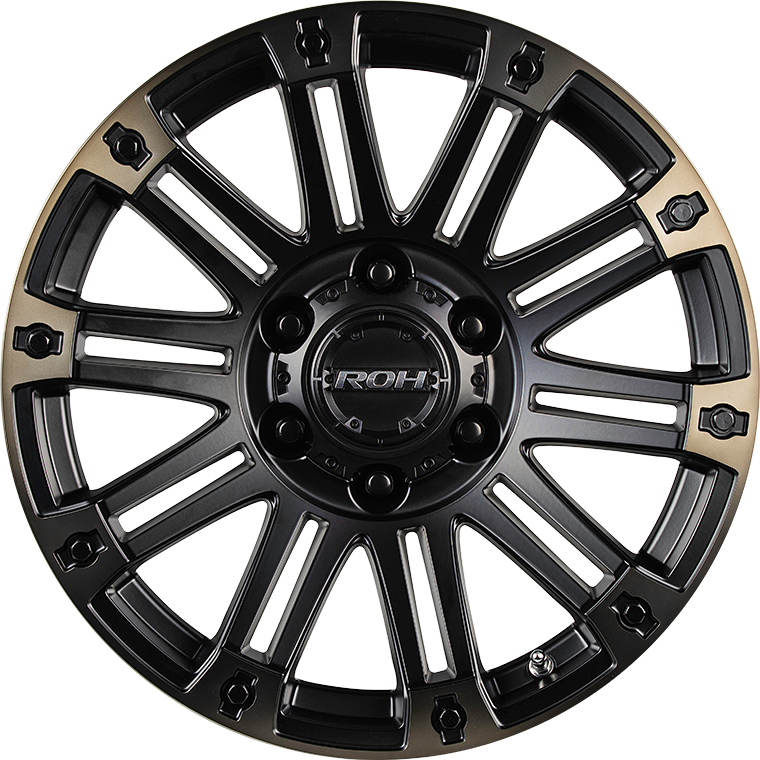 New to the exclusive range of ROH Dakar Proven Wheels®, the all new ROH Hostile 4x4 flow-forged wheel comes in matt black finish with a bronze tinted machine lip and black anodised aluminium bolts (not chrome plastic). Hostile is a unique 10-spoke with styling features enhanced by bronze tinted lip and 10 black anodised aluminium bolts adorning the perimeter of the wheel lip. Flow-forging is the most advanced technology in use today. Flow-forging begins with unique cast pre-forms which are then flow-formed after casting to produce high-strength lightweight aluminium road wheels for both street and off-road applications. Hostile is load-rated at 1025kg per and is an ideal choice when fitting a GVM+ suspension upgrade.